air joe is proud to serve the Romeoville community! We are proud to be a part of this community, serving your heating and air conditioning needs: air joe is listed in many directories under titles such as : Romeoville Heating Contractors, Romeoville Heating, Romeoville Air Conditioning, Heating Repair, Air Conditioning Repair, Romeoville Heating and Cooling Contractors, Rooftop HVAC Repair, Ductless AC Systems, Boiler Repair and Romeoville Heating and Air Conditioning Contractors. We are here for you whether you need furnace or air conditioner repairs, heating and cooling estimates, equipment replacement or new installation of a furnace, air conditioner, heat pump, rooftop heating and cooling or comfort products to improve the air filtration for your home or business. About Romeoville, IL - Happy to be your hometown Heating & Air Conditioning Contractor! Romeoville is a village located in Will County, Illinois, and as of 2010 the population was about 40,000. It is one of Chicago’s southwestern suburbs, and it is home to several institutions of higher education, including Joliet Junior College, Rasmussen College, and Lewis University. The village is made up of 18.76 square miles of total area, all of which consists of land except for 0.32 square miles that consists of water. Romeoville and the Chicago area is known for having hot and humid summers and cold, snowy winters, and the region is part of a humid continental climate zone. 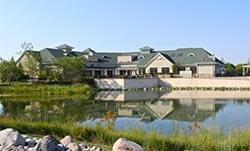 Romeoville is home to a variety of attractions that may be of interest to visitors and residents. The Philip Lynch Theatre is located in this village, and outdoor enthusiasts may enjoy spending some time at the Romeoville Skatepark or the Isle a la Cache Forest Preserve. There are also a variety of large, chain stores located in Romeoville for shopping, including Target, Kohl’s, and a Walmart Supercenter.